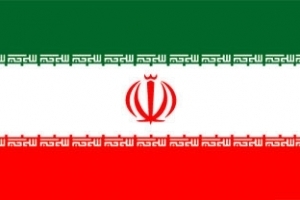 The protection of Iranian investments in Italy. There is a bilateral agreement between Italy and Iran whose purpose is to promote and protect mutual investments. This agreement on reciprocal promotion and protection of investments was made in Rome on March 10, 1999 and entered into force in Italy by Law n. 171 of July 11, 2002.
f) economic rights, as well as licenses, concessions or franchises conferred by law. b) "legal persons" of each Contracting Party, established under the law of one of them. The term "income" means the amounts legally yielded by an investment, including profits derived from it, capital gains, interest, dividends, royalties and fees. Each Contracting Party shall encourage its investors to invest in the territory of the other Contracting Party. Each Contracting Party shall, in accordance with its laws and regulations, create favorable conditions for attracting investments by investors of the other Contracting Party in its territory. Each Contracting Party shall admit investments by investors of the other Contracting Party in its territory and grant all necessary permits for the realization of these investments, in accordance with its laws and regulations. Both Parties shall ensure at all times a fair and equitable treatment to investments by investors of the other Contracting Party. Both Contracting Parties shall ensure that the management, maintenance, use, transformation, enjoyment or disposal of investments in its territory by investors of the other Contracting Party shall not be in any way affected by unreasonable or discriminatory measures. The investments made by natural and legal persons of either Contracting Party shall not be nationalized, confiscated, expropriated or subjected to measures having equivalent effect by the other Contracting Party, accept that in the event that these measures are taken in the public interest, on the basis of a criterion of non-discrimination. The compensation must be ready, effective and appropriate. The Contracting Party making the expropriation or nationalization will pay compensation without undue delay. If a citizen or a company of either Contracting Party asserts that its investment in whole or in part, has been subject to expropriation, she will be entitled to a prompt review of his case by the judicial authority or administrative authority of the other Party contractor, in order to determine whether such expropriation has occurred and, if so, whether the expropriation and the subsequent compensation have been made in accordance with the Agreement. For more information, please contact us (click here: Lawyers in Italy).